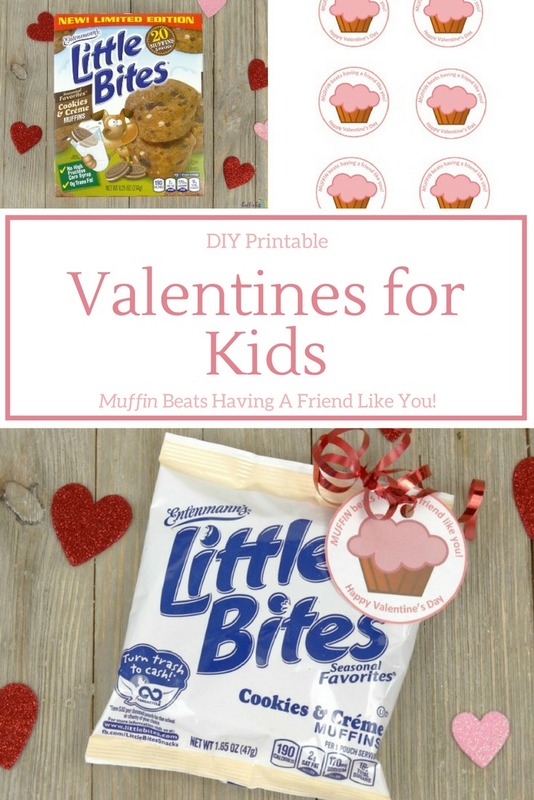 Valentine’s Day is coming up fast, and if you’re still looking for cute Valentine’s ideas for kids, then you’ve come to the right place!  Busy moms don’t always have the time to make homemade Valentine’s Day Candy and write out individual cards for an entire classroom of kids. Heck, there are some days where we barely have the time to brush our teeth let alone get the kids dressed and out the door. 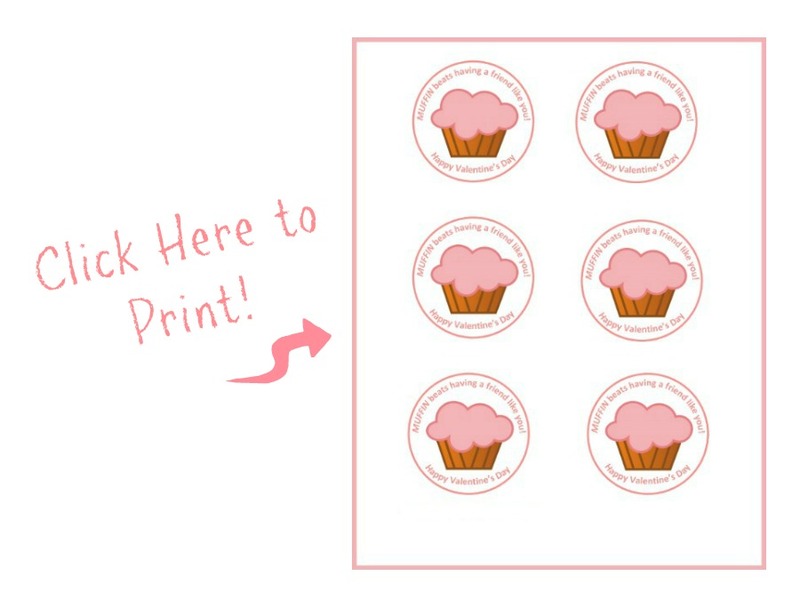 This year save yourself some time and grab a box of Limited Edition Entenmann’s® Little Bites® Cookies & Crème Muffins and print out this super cute muffin-themed printable Valentines for kids! 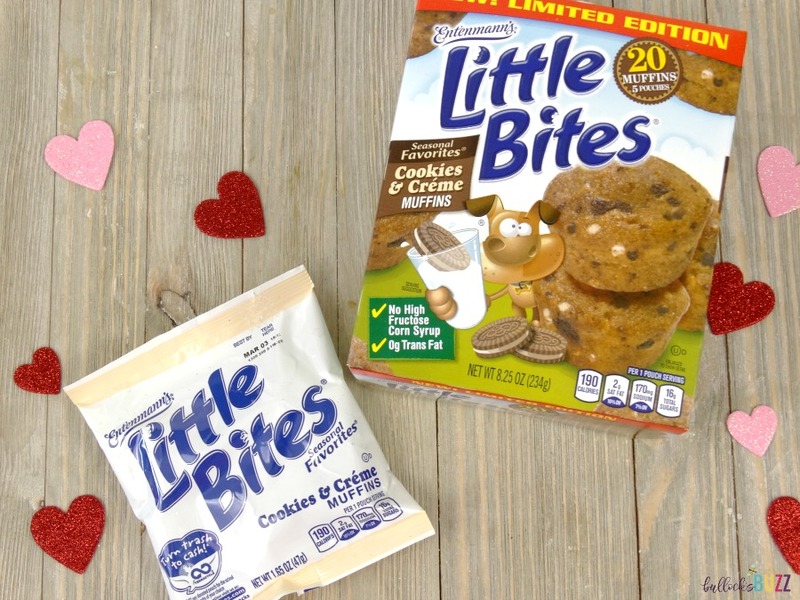 As the newest addition to their Little Bites® Seasonal Favorites® line, Entenmann’s® has cooked up a delightful Cookies & Crème flavored muffin – just in time for Valentine’s Day! 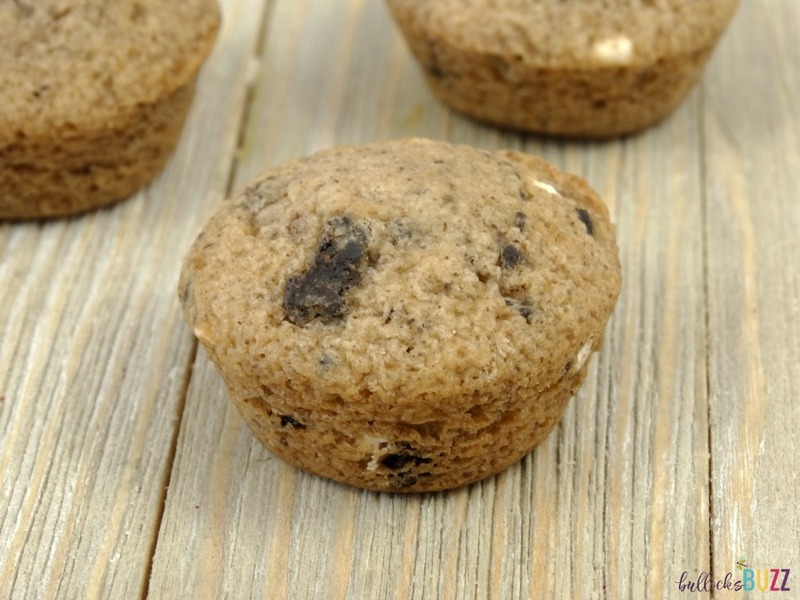 Each bite of these marvelously moist muffins is packed full of delectably rich chocolate and sweet creamy goodness, a flavor combination reminiscent of classic sandwich cookies. Best of all, these tasty snack muffins contain just 90 calories per pouch, and have zero high fructose corn syrup or trans-fat. And the little grab and go pouches make them an ideal and convenient snack for busy families. They also make the perfect non-candy Valentine – check it out below! Entenmann’s® Little Bites® Cookies & Crème Muffins are available nationwide. I was able to find them at my local Walmart, and have also seen them at several grocery stores. 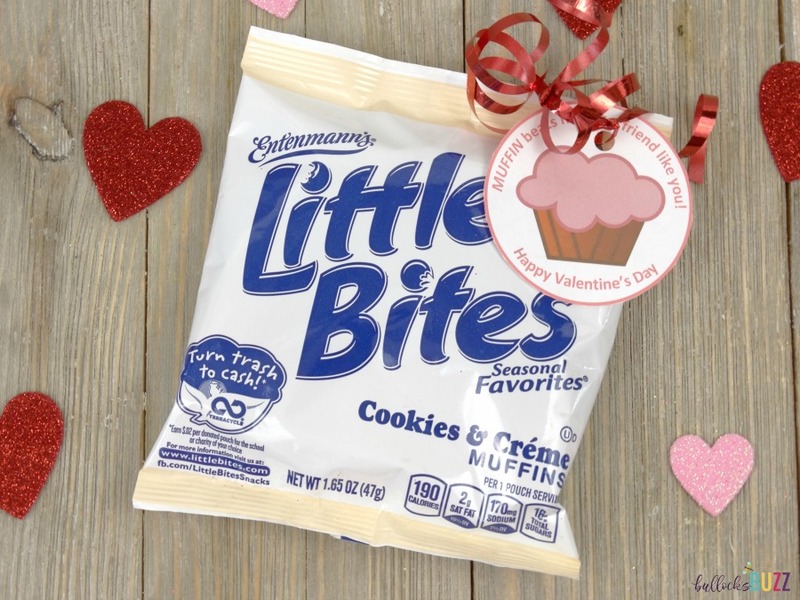 To learn more about Entenmann’s® Little Bites® Cookies & Crème Muffins and to find a store near you, check out their website at www.littlebites.com. Just remember, once you find them, be sure to stock up because after February, these limited edition muffins won’t hit the shelves again until next February!